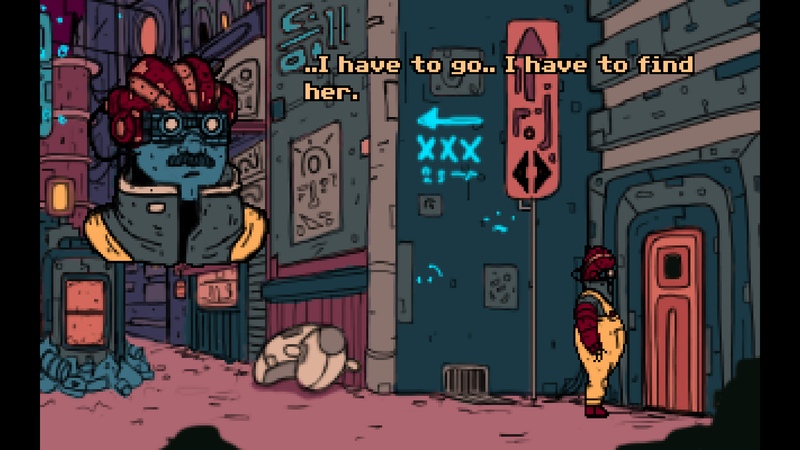 A cyberpunk tale of marriage and selfdestruction. You're a cyborg and your wife has left you. To find her you must escape "The Structure" - a dystopian city in which you are imprisoned. The only way of escaping The Structure is to rid yourself of your implants and become a plain-skin. This was a fun little game which I would like to see expanded into a full game. I LOVED this game. The detailed, well thought out world is the reason enough to give it a go, and the cruel, oppressive, dystopian atmosphere immediately reminded me of BASS. The game doesn't take long to finish but there are some interesting and original puzzle ideas. It's a real gem, especially for a game made in just under one month. 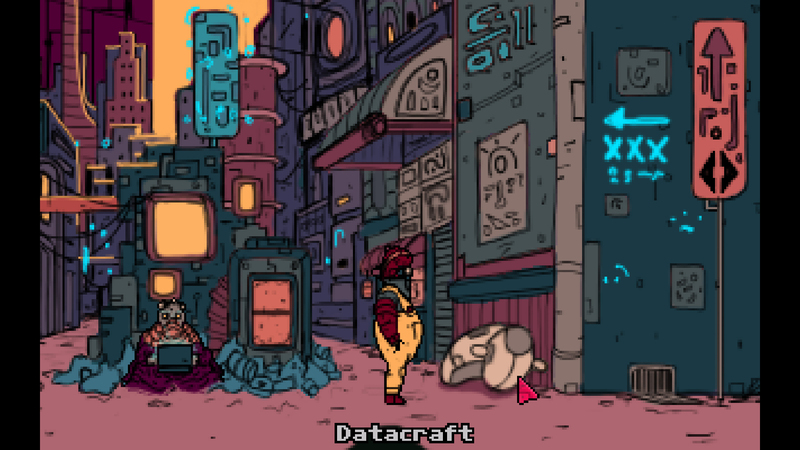 Cyborg Seppuku is the first game by Malte Burup aka The outer Zone and brings you a tale from the outer zone. 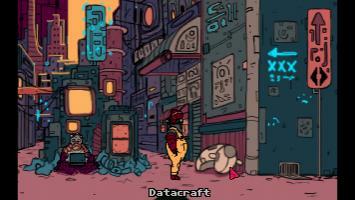 It is a short but colorful adventure game set in a cyberpunk world filled with implants technological gadgets. You even get to losen some screws on your head! Black comic like lineart kind of like moebius filled with vibrant colors draws you into the world where you get fed ads through your body augmentations and when you get rid of these the ads disappear. 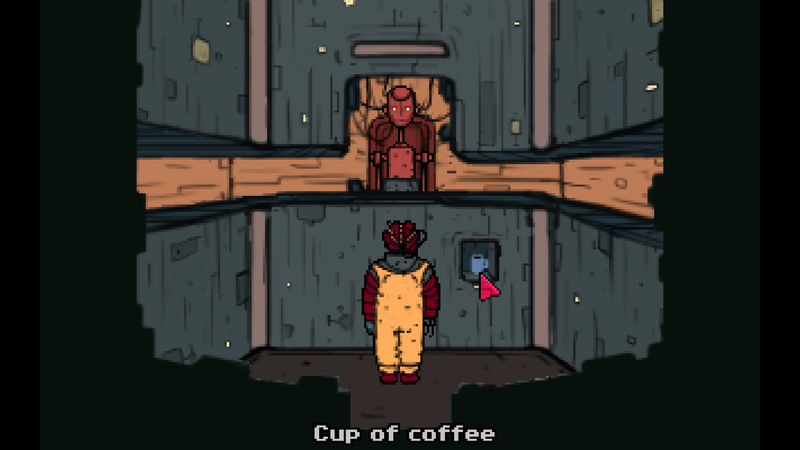 The story is very engaging and makes you want to find out how to leave the city called The Structure to find you love that left you, but some great puzzles stand in your way. The soundtrack is cool and very fitting. Go and download and play this entertainment plugin for your puzzlebrain now! This is one of the best MAGS game this year. I love everything in this game : the beautiful graphics, the interesting puzzles and the intriguing story. I look forward to the sequel or the full game.